and property are safe and secure from roof damage. No project is neither too big or too small, yet some pieces to the puzzle of roofing systems need special attention. Raincoat Roofing provides a unique look at your roof, from a bird’s eye view. Drone inspections provide a full 360 - degree view of your roof, whether in an industrial setting with large landscapes or attempting to diagnose a problem area on an area 5 to 6 stories in the air. Raincoat Roofing provides drone inspections for anyone who encounters unique circumstances. Not only does it give us crystal clear imagery of your entire property, it also provides the views that may not be fully accessible from a safe vantage point. 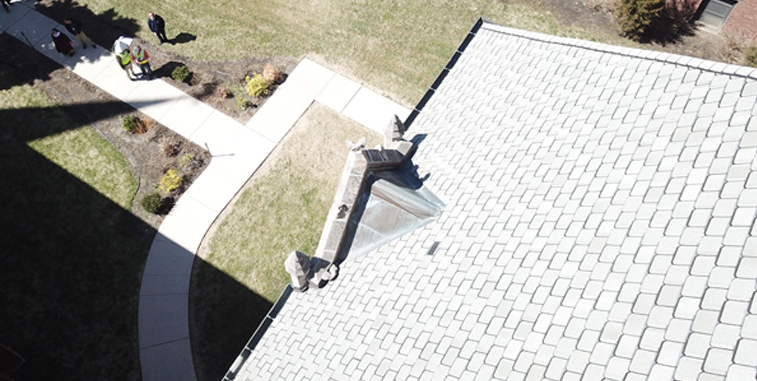 Raincoat Roofing’s drone inspections are a safe, affordable, and powerful tool to utilize the benefits of. Building envelopes, roofing membranes, and rooftop exteriors have a multitude of issues that could be caused by an even bigger list of causes. 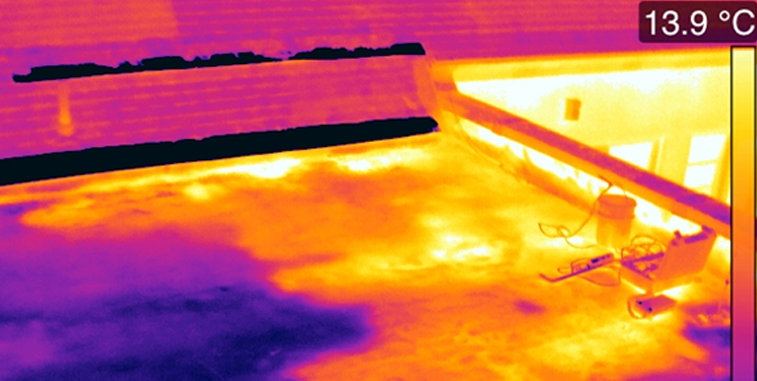 The use of thermographic imagery in roofing has come up to speed in this last decade and will continue to be a mainstay in years to come. 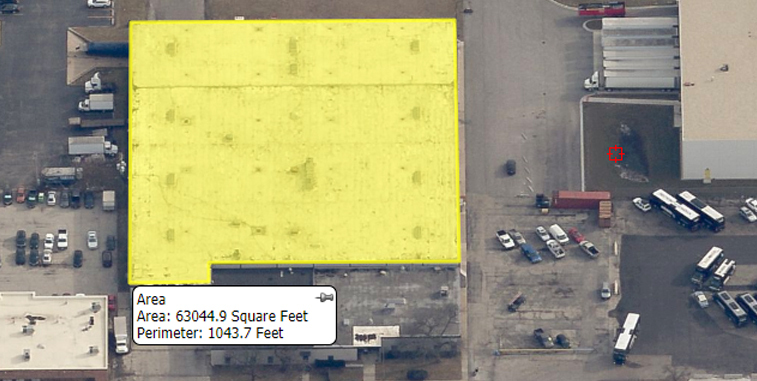 Each set of images can detail the materials that are used, the overall quality and conditions of your roof, as well as potential problem areas. With new energy codes being pushed through various areas of Chicago and its surrounding neighborhoods; a true evaluation of your building, your office, or any property will speak volumes to your roof’s ability to maintain its energy efficiency. Raincoat Roofing is proud to offer thermographic imagery of any type of roof, allowing you the peace of mind knowing that the elements stay outside and the cool air stays inside. Raincoat Roofing takes your roof surveys, inspections, and plans very seriously. We not only utilize the most advanced tools in the field, but also take to the stars to do our pre-inspection homework. Raincoat Roofing uses satellite imagery to get a better understanding of what your roof looks like, whether it be a quick snapshot before a planned visit or preparing an apprehensive report to help you budget for your future. Raincoat Roofing’s ability to make sure the most accurate of measurements are taken, using to the inch measurement tools, creates the most accurate as possible budgeting and proposals available to you for any work that may occur. Raincoat Roofing also can access previous years images to understand the history of your property and how the elements have treated your investment. Raincoat Roofing provides the best quality, integrity, timeliness, and workmanship when being asked to perform any job. Not only have we been recognized and accredited as official installers by every major manufacturer in the roofing industry, Raincoat Roofing is a proud member of the National Roofing Partners. Based out of Texas, the National Roofing Partners are a group of likeminded and well-established roofing contractors who work all over the United States. By providing a high level of quality workmanship, on time execution, and affordable partnerships with corporate contracts; the NRP (National Roofing Partners) have boots on the ground in all areas of our great nation. Raincoat Roofing represents the Chicago and Midwest, proudly working with the NRP on various projects of scope and scale.